Rebuildable atomizers might require a bit more work – crafting your coils by hand instead of just buying them pre-made – but the benefits to using them far outweigh the costs from the perspective of many vapers. 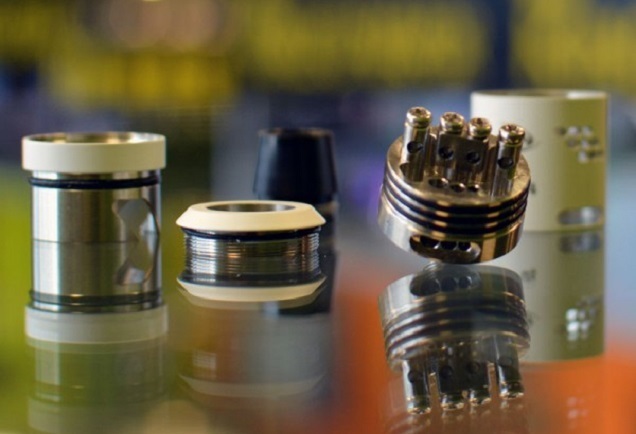 Not only does picking up some resistance wire – like Kanthal, nickel or titanium – and wicking material – cotton being the most common – cost a lot less than buying pre-made coils, the vapor production, flavor and overall performance are drastically improved. If you’re interested in improving your vaping experience, finding the best RDA atomizer or the best RTA atomizer is one of the best ways to do it. But what is the best RDA atomizer? Should you go for the Velocity or the Kennedy? Does the Archon have more to offer vapers than the Mutation X? And what about the best RTA atomizer? Are the Kayfuns still king, or are you better off with a Lemo or Billow? We’ve surveyed thousands of vapers to come up with a definitive set of recommendations for the best RTA atomizer and the best RDA atomizer, and here’s what we found. Rebuildable dripping atomizers (RDAs) don’t have a reservoir for your juice, other than the “juice well” under your coils, so you have to drip regularly, but they’re still preferred by many vapers for their generally excellent performance. Here are the top 10 best Rebuildable Dripping Atomizers as voted by our readers. The Dark Horse RDA is a stainless steel, triple-posted RDA with a ton of airflow options. The design – with several airflow holes cut into the main top cap which is covered by an airflow control ring – allows for 16 different airflow setups, enabling you to finely tweak your draw to suit your tastes. The center post on the Dark Horse is gold-plated (as is the contact pin), allowing for maximum conductivity, and the post-holes are nice and big with a 2.7 mm diameter, allowing for comfortable use of thicker wire with multi-coil setups. All of the posts on the Dark Horse are also square, helping to guard against them spinning as you tighten up the screws to make your connection. The Dark Horse is currently available (on sale at time of writing) at VapeHappy for $79.99. The Tugboat is another three-post, stainless-steel bodied RDA, offering a deep juice well, dual airflow holes on both sides (with adjustable airflow on the V2) and a gold, copper or stainless steel center post (varying due to manufacturing changes) along with a copper 510 connection. It also has a three-piece design so you can drip without removing the whole top cap. The Tugboat comes in three finishes – brushed, media blasted or polished – and features and engraved Tugboat logo and a matching drip tip, as well as measuring 22 mm to fit flush to your mod. The Tugboat V2 is currently priced at $88.95 at DirectVapor. The Kennedy is a three-post stainless steel RDA, with a huge juice well, a conical top cap to improve flavor, and a copper center post and 510 connection to improve conductivity. The center-post holes are nice and wide, allowing for dual coil builds with wire as low as 20 AWG (American wire gauge), and your coils are secured in place using Philips-head screws. The airflow system is one of the main selling-points of the Kennedy, with the dual airflow holes located at the bottom of the device (fed by trenches running to the edge of the device) and coming up directly underneath your coils for fantastic airflow. The design is sleek and straightforward – with a stainless steel finish and Kennedy engraved onto the top cap – and the RDA has a 22 mm diameter to match the diameter of most mods. You can pick up the Kennedy for $99.99, or the Competition version for $109.99. While WOTOFO’s Freakshow is a flavor-chasing RDA, the Troll is one for the cloud-chasers, and it received over twice as many votes as the Freakshow in our best RDA atomizer poll. The Troll is a 22 mm, stainless steel bodied atomizer with a split center post – making post-holes in total for easier multi-coil building – a deep juice well and an adjustable airflow system designed to induce a swirling flow of air. On the V1.5, the airflow slits – three on each side – are slanted to maximize the swirling effect and boost vapor production while maintaining flavor. The Troll features a trollface logo, and comes in black, white, stainless steel and copper finishes. The Troll is also one of the most affordable RDAs on this list, being available at time of writing for just $29.99. 6 – Archon by Cloud Chasers Inc. The Archon is a 22 mm diameter, stainless-steel bodied RDA atomizer, featuring three hexagonal posts, a huge 5.8 mm juice well and a detailed airflow control system. The negative posts are milled into the deck, and all the posts have big 2 mm diameter holes to accommodate larger wire gauges. The airflow system is composed of eight holes on each side – in pairs of two arranged diagonally – with a stepped pair of fins on the top section (which can be removed without taking off the whole cap) to cover them, allowing precise control over your airflow. This gives you the option to maximize the clouds or boost the flavor to suit your tastes. The Archon has a PEEK and Delrin insulator system on the positive post, and also comes with a Delrin wide bore drip tip to replace the standard stainless steel one. It also comes with a spare copper positive post, which you can replace the steel post with for improved conductivity. The Archon is available for just $39.95 from My Freedom Smokes. The Derringer RDA makes the cut as one of the best RDA atomizers on the market, and it’s also one of the smallest RDAs you’ll find, being shorter than the diameter of a penny. The device is made from 304 stainless steel, has three posts – with a stainless steel center post on the V2 – and features adjustable airflow, which you can set up to flow from one or two sides of the device. The short stature of the Derringer doesn’t have much impact on its capabilities, and makes it a fantastic option for anybody hoping to minimize the size of their setup or looking for a dense, flavorful vape. The device still has a decent-sized juice well, although this is one area the size detracts from somewhat. The posts of the Derringer use Allen screws. The Derringer V2 from Praxis is available for $64.99 at Mt Baker Vapor. The Buddha Z V2 is a 30 mm diameter RDA, with a split center post (for four post-holes in total), 304 stainless steel construction and a massive selection of 21 airflow holes on each side. The device has a three-piece design, allowing for easier dripping and giving control over airflow, and the wider diameter gives you more space to build. The posts are all stainless steel and have big 3 mm post holes (with flat-head screws to trap your wire), which combine with the split center post and increased deck space to make the Buddha a pleasure to build on. The airflow system allows for pretty fine control over your draw, and there are also four extra holes drilled at a 45 degree angle in the top section of the atomizer to improve performance. The Buddha Z is available direct from Vaperz Cloud for $59.99, putting it as one of the more affordable entrants on this list of the best RDA atomizers. The Twisted Messes RDA is a 22 mm diameter, 304 stainless steel atomizer with a split center post and a silver-plated brass contact pin. The holes in the posts measure a substantial 2.8 mm, making the device well suited to thicker-gauge wires and Clapton coils. The Twisted Messes RDA also has a massive 6 mm juice well, putting it right up there with the best RDA atomizers when it comes to juice capacity, considerably reducing how frequently you have to drip. It also allows for airflow control – coming with two airflow control rings – and has three different options for drip tips – a Delrin, metal chuff style or a standard 510. The Twisted Messes also has a pretty unique appearance, and is available in stainless steel and blue or black and gold. You can pick one up at MyFreedomSmokes for just $49.95. The Mutation X V4 is a 304 stainless steel, 22 mm RDA atomizer that took second place in our best RDA atomizer poll. The device has a three-post design (with a split positive post), a silver-plated copper connection, and both side and bottom airflow. The posts have 2 mm holes, your wire is held in place by Philips head screws, and the atomizer has a sizable 5 mm juice well, making it slightly shallower than other options on the list but still allowing for a substantial amount of e-liquid every time you drip. It comes with a pre-installed wide bore drip cap, as well as a Delrin 510 adapter cap. The side airflow holes are arranged diagonally, in three groups of three on each side, to create a “swirling” airflow effect, and they work alongside the angled bottom airflow (which open up directly below your coils) to allow for maximum airflow while still giving you control over your draw. The Mutation X V4 is available for just $24.95 from DirectVapor, an excellent deal for one of the best RDA atomizers on the market. The Velocity RDA took over 18 percent of the vote in our best RDA atomizer poll, earning the top spot by a substantial margin, and it’s easy to see why. The unique two-post design does away with the center post, instead putting the positive post off to the side of the atomizer and featuring two post holes in each so you can still build dual or quad coils to suit your vaping style. The post screws are also side-mounted, are the hex-screw, Allen style. The Velocity has a massive 6.5 mm juice well, beating out the competition convincingly. For airflow, the device features two 2 by 8 mm slots for direct airflow and six 2 mm indirect airflow slots which you can close off or open up to suit your preferences. The device comes with a wide bore Delrin drip tip, and a Delrin adapter for standard 510 drip tips, and the posts are protected with replaceable PEEK insulators. The design of the Velocity is exceptional, with little additions such as a locking system for the top cap and a threaded connection between the inner and outer cap making the device a pleasure to use. The Velocity doesn’t come cheap – costing $115 from Avid Vaper – but for the best RDA atomizer on the market, if you’re looking for a top-end vaping experience, it’s definitely worth it. Rebuildable Tank Atomizers (RTAs) take the core benefits of RDAs – improved performance, vapor production and flavor – and combine them with the convenience of a tank system so you don’t have to drip every time you want to vape for five minutes or so. So what are the best Rebuildable Tank Atomizers on the market? Here’s the top 10 according to the results of our poll. Eleaf’s Lemo V2 is a stainless steel bodied, 22 mm diameter RTA, improving on the original design from an aesthetic perspective as well as by adding a top-filling system – a large fill-hole opened and closed with a simple twist – and upgrading the insulators to PEEK. The glass tank on the Lemo V2 has a 3.8 ml capacity, and the top-filling system makes it much easier to fill the tank to capacity without spilling. The Lemo V2 also features dual adjustable airflow slots, allowing you to tweak the draw to suit your tastes, and the air comes up directly underneath your coil when you take a puff. The Lemo V2’s deck is fairly straightforward, with two posts to attach your coil and holes through the post to make it easier to get new coils connected up. The Lemo V2 is on sale for $29.99, and comes with some useful extras like kanthal, a pre-built coil and some organic cotton, so all you’ll need to start building is some e-juice. For one of the best RTAs on the market, the price is pretty great. The Genius^2 atomizer by German Stil Vapor is a 23 mm diameter RTA with a stainless steel body and a borosilicate glass tank, adjustable airflow and a silver-plated, adjustable positive post. The tank holds around 4.5 ml of juice, and your coils sit at the top of the device, with the three posts allowing for single, dual or quad-coil builds, and featuring nice big post-holes to accommodate various wire sizes. The device measures about 64 mm tall without a drip tip – making it pretty tall – but the beautiful design and the hand-crafted, high-quality build has made it a favorite with vapers. The major downside to all this is that the authentic Genius^2 is currently unavailable. The Taifun GTII is another 23 mm diameter RTA with a stainless steel body and a borosilicate glass tank, which holds up to 5 ml of juice. It has a two-post design, but it doesn’t have holes in the posts, so you have to trap the wire underneath the screw to connect up your coil. The coil housing section sits at the bottom of the atomizer, so you fill the tank from the underside before attaching the coil. The e-liquid feeds in from slightly above the tank, but you can adjust how much makes it through by unscrewing the chamber cap slightly. The airflow hole on the GTII comes up directly between the posts and onto the underside of your coil, feeding from an adjustable airflow system located towards the bottom of the device. There are 10 airflow holes in total, with five on each side that can be closed off using an adjustment ring, like on the Kanger Aerotank. The Taifun GTII can be picked up directly from SmokerStore (for around $156). The Kayfun Lite Plus is a pretty legendary RTA, a 22 mm diameter brushed stainless steel RTA, well-known for offering fantastic flavor and top-end performance. The tank has a 4.5 ml capacity, with a polycarbonate window so you can see how much juice you have left, although it also comes with a stainless steel replacement in case you use acidic juices that can damage polycarbonate tanks. The coil housing is located at the bottom of the tank, and the two post design is perfectly-suited to single-coil builds, with an airflow hole directly underneath your coil drawing air from the bottom portion of the tank. The airflow can be adjusted using a small screw. Unlike on the Taifun, the liquid on the Kayfun is sucked up from channels underneath the coils and into your wick and coil setup. Again, there aren’t many places with authentic Kayfun Lite Plus devices available, but there have been many clones of the original model. A version from EHPro is currently available on MadVapes for $39.99. Coming in right above the Kayfun Lite in our list of the best RTA atomizers is the Kayfun V4, offering substantial upgrades to the older models and gaining a lot of support from vapers in the process. The V4 is constructed from 316 stainless steel and comes with three tank options –polycarbonate, glass and steel – with the device measuring 22 mm in diameter with the polycarbonate tank and 23 mm otherwise. The capacity of the tank is around 4 ml. The core features of the V4 are the same, but the newer version of the RTA has four post screws, allowing for multi-coil builds, and has a gold-plated stainless steel connection. The biggest improvement is the added liquid flow control, which allows you to control the amount of liquid reaching your coils, and even close it off completely to access the deck without losing a tank of juice. This also helps avoid leaks when you aren’t using it. The Kayfun V4 is currently available at VaporDNA for $179.99. The Origen Genesis MKII is a 22 mm diameter genesis-style atomizer with a 6 ml capacity tank (a 4 ml version is also available) and several user-selectable airflow options, ranging from 1.2 to 2.5 mm holes. The Origen Genesis MKII allows for dual-coil builds, and being a genesis-style device these are located above the tank. The tank makes several improvements over the older version, improving the center pin (so you don’t have to screw it to line up the holes correctly) and the connection to the top cap (to prevent it from sticking). The look is very cool, with a webbed, “honeycomb” metallic pattern on the interior of the tank and a series of ridges masking the conical shape of the top cap. This is another device that isn’t easy to find in stock, but Vapin Art has it for sale for $149.99, and you can pick up clones for under $15. The Billow V2 is a stainless steel bodied, 22 mm diameter RTA with a 5 ml juice capacity and a glass tank. The top and bottom diameter of the device is 22 mm, but the tank section is slightly wider (up to 23 mm), allowing the overall device to be shorter than the V1 without losing e-liquid capacity. The device features an internal chamber for your coils, with channels in the deck to allow juice to soak your wick, PEEK insulators, and an adjustable airflow ring – uncovering two horizontal slots in the bottom of the device – so you can make changes to your draw without having to use screws like on the previous version. It has a four-post deck, with the split center post making connecting up dual coils much easier. You can also rebuild or adjust your coils without having to empty the tank, simply standing the tank portion upside down to get access to the deck. The Billow V2 is also very affordable, currently available for just $34.99. The Flash e-Vapor V3 is a stainless steel RTA made in Germany, featuring a 5.5 ml capacity tank. The device has a 23 mm diameter, measuring 59 mm long and having a fairly unique appearance: it’s basically like a full RDA with a tank portion sitting on top of it – a reversed genesis-style device. The tank comes in polycarbonate or metal, and you can even buy an extended tank for a huge capacity of up to 9 ml. The deck has two posts with plenty of space, making building pretty easy despite the lack of post-holes. The device is widely-praised for being excellently put together – you definitely feel like you get something worthwhile for your money – and you get a consistent vape thanks to the big wick holes and the gravity-fed wicking. The Flash E-Vapor is available for around $129 at the official site. The Vapor Giant Mini V2.5 is designed to go with the Vapor Giant mechanical mod, but is a well-loved atomizer in its own right, taking almost 13 percent of the vote in our best RTA atomizer poll. The device has a 23 mm diameter, and measures 56 mm without the drip tip, which adds an extra 20 mm when mounted. It’s a stainless steel atomizer, coming with either a polycarbonate tank (for a capacity of 6.9 ml) or a glass one (for a 5.4 ml capacity), and you build your coils in a chamber at the bottom of the tank. The deck has two posts, and works much like a Kayfun, with wide channels for juice and the airflow opening up right underneath the coil. There are four airflow holes on the device, and you can open or close them as desired using small screws. It also has PEEK insulators for great heat-resistance and an adjustable stainless steel contact pin. You can pick up the Vapor Giant Mini V2.5 for around $82. Taking a whopping 15.9 percent of the vote, the Squape R by StattQualm was voted the best RTA atomizer by our readers. There are a couple of versions of the atomizer, the R[s] and R[eloaded], but the R[eloaded] version is the main successor to the Squape V1. The atomizer is stainless steel, has a 22 mm diameter and measures 59 mm tall, with a 5 ml capacity tank made from borosilicate glass. The device can be used with three different decks (curved, standard or wide) to suit your building preferences, and they’re all covered with a non-conductive material to help protect against shorts. All of the decks have a central channel for your wick, and you attach your coils to two posts (which are covered by the non-conductive material and only accessible through two holes) using screws. The Squape R[eloaded] has six different airhole sizes for its adjustable airflow, ranging from 0.9 mm to 3.1 mm, providing plenty of options to suit most vapers’ needs. The device is available for $169.99 at VaporDNA (currently out of stock) or for $151.51 at Crème De Vape. The above lists contain the recommendations from our readers and the vaping community for anybody looking for RDAs and RTAs, but with so many great rebuildable atomizers on the market, there are tons more great options available. 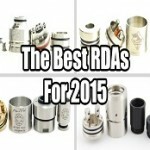 So here are our top 10 picks for RDAs and RTAs – split into two lists of five for each! The Royal Hunter is a three-post RDA, featuring a split center post to make multi-coil builds easier, a sizable juice well, a silver-plated positive pin, adjustable airflow and a wide-bore drip-tip featuring an anti-spit-back honeycomb net, as well as an adapter so you can use a standard 510 tip. Building on the Royal Hunter is a pleasure thanks to it's spacious deck, and it earned a respectable number of votes in our poll. It’s currently available for $49.99. WOTOFO’s Sapor RDA is an affordable, stainless steel dripper from the makers of the Troll and Freakshow, with a 22 mm diameter, a huge 6 mm juice well, a split positive post, dual adjustable top airflow designed to create a swirling effect, a PEEK insulator and rhodium-plated copper contact to improve conductivity. It's available in stainless steel and black. It's priced at just $29.99. The Kennedy was featured on the main list of the best RDA atomizers as voted by vapers, but it’s also one of our top picks, with a high-quality build, a fantastic airflow system, huge post holes to support builds with thicker, lower-resistance wires, a copper center post for improved conductivity and a flavor-boosting conical top cap: it’s one of the drippers we keep in our regular rotation. The Kennedy is a fairly expensive option, though, available for $99.99. The Mutation X V4 would rank among the best RDAs for us here at ECR, but since it’s been covered on the main list, we’re adding the XS Mini to our set of recommendations instead. The RDA offers many of the same features as the larger version in a much more compact form, including a split, T-style positive post, a 5 mm juice well, an excellent bottom feed airflow system, 2 mm post-holes and PEEK insulators. The XS Mini is a bit cheaper too, at $24.95. The Alliance RDA is a 22 mm device with a three-post design, nice big post-holes, a deep juice well and three different barrels to allow you to adjust your airflow to your preferences. The center post has a square bottom to prevent turning when you’re tightening up, and it comes with a two-piece PEEK insulator for unbeatable heat-resistance. The Alliance RDA currently costs $44.95. The Goblin Mini RTA is a compact RTA, measuring just 28 mm in height and offering a fairly small tank capacity of 3 ml, but also featuring a pendulum-style adjustable airflow ring, four 4 mm airflow holes which open up right underneath your coils to maximize vapor production, four channels to feed juice to the deck and a split center post design for easier building. The Goblin Mini is made from stainless steel and Pyrex glass, and costs just $27.95. The SilverPlay V2 offers substantial upgrades over Project Sub-Ohm’s original version, with a 4.5 ml tank, a new filling mechanism (with two different ways to refill), an improved airflow control system (with quad 5 by 3 mm slots), a conical chimney for improved flavor, the ability to access your coils without draining the tank and much more. There are also plenty of options for cross-compatibility with Kayfuns and Russians, which are increased if you switch the included chimney to a standard 4 mm option. The device is currently available for $39.99. The Goliath by Youde fared pretty well in our best RTA poll, but didn’t quite make the cut for the top 10. We’d still rank the Version 2 among our favorite rebuildables, though, with huge post-holes, a liquid flow control ring, airflow control and a silver-plated copper contact making it a great option. It’s made from stainless steel and glass, it has a 22 mm diameter tank with a juice capacity of 4 ml. The Goliath V2 is currently available for $32.95. The Subtank just missed out on making the top 10 based on our poll, but with the option of both using pre-built, easy-to-install coils and an RBA base to build your own coils, it earns a recommendation from us for its flexibility alone. The Subtank Mini has 4.5 ml capacity tank, stainless steel construction and a glass tank, but we’d lean towards the Mini rather than the larger-tanked Plus version for the more mod-friendly 22 mm diameter. The Mini costs $29.95. Another fantastic RTA from Youde that just missed out on being featured in our main list is the Zephyrus, a stainless steel and glass construction RTA with a 5 ml tank capacity and a top-filling design which is comparable to the Subtank in that it can be used as a rebuildable or with pre-built coils. It features adjustable airflow control and nice big e-liquid channels to ensure a consistent flow of juice to your coils, as well as nice extras like PEEK insulators and a heat sink 510 adapter. It costs just $27.95. Although the more beginner-friendly sub-ohm tanks have been taking a bit of the attention away from rebuildables recently, there are still a multitude of fantastic options available for vapers willing to take the leap into rebuildables. It’s a deep rabbit hole, but one that pays dividends with unbeatable performance and a fantastic level of customizability for your vaping experience. These lists give you some exceptional devices to choose from, but we’ll also be adding a buying guide in the coming weeks to help you evaluate the different options for yourself and find the best device for your needs, so check back soon!